The current rolling application process for participating in FOCUS will come to an end on 29th March. Companies are still able to apply at any time before that date, and applications will continue to be assessed as they are submitted. FOCUS is an opportunity to access sector specific business development expertise to support your company growth. Companies contribute one third of the overall costs of the support, with the remainder covered by Creative Scotland and Scottish Enterprise. A total value of up to £37500 is allocated per company, making this a real opportunity to access significant business development. The project is split into two parts: Stage 1 and Stage 2. During each stage of FOCUS every participating company works on a one-to-one basis with a dedicated business development consultant who has expertise in the screen sector. The company is then able to access further support from a range of highly experienced and well-connected experts in areas such as development, finance, sales & distribution, marketing and HR. Please click here take a look at the consultants available. 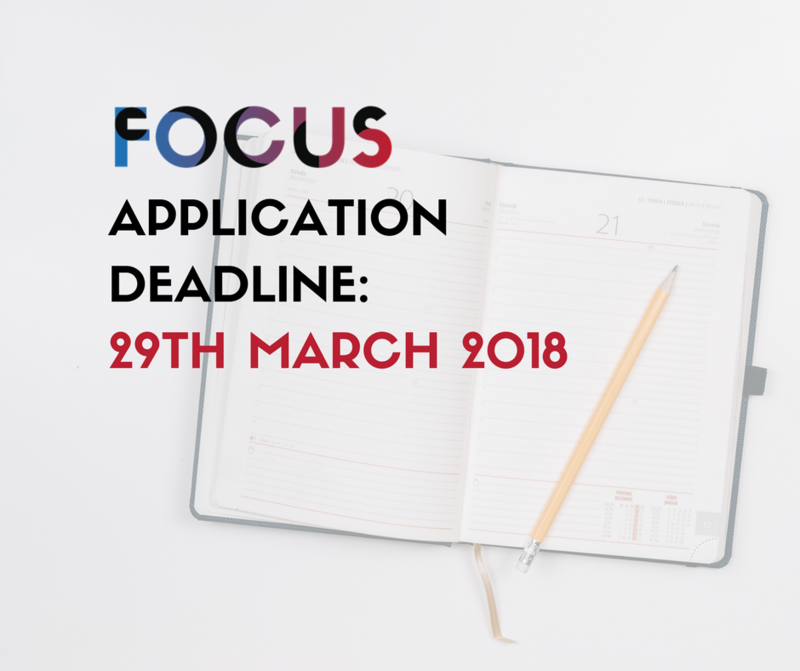 FOCUS is a pilot project, running until July 2019, and this will be the final application deadline. We are able to work with only 20 companies during the pilot, and are now looking for proactive, ambitious companies who are committed to growing their business. Please take a look at the application guidelines and criteria before applying online. Still unsure? Here are some tips for applying to FOCUS.